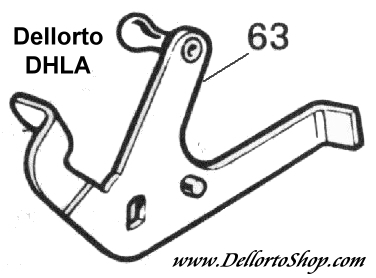 This is the ball-type throttle lever as used by Alfa Romeo on the Dellorto DHLA series carburettors. 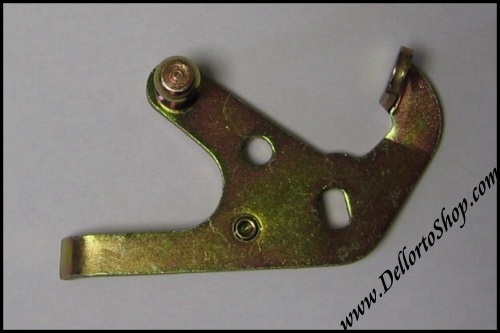 This is the version for, early type non-cable, rod-actuation. 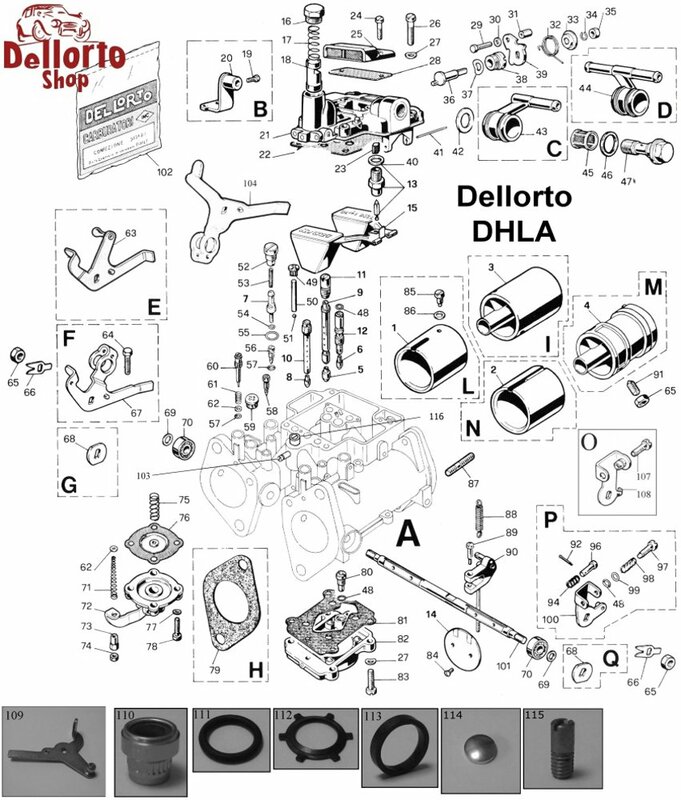 It matches balance lever assembly 8304. This is item number 63 in the drawing.